Getting stranded in the middle of the ocean is never a good thing, as it usually is accompanied by a nice dose of amnesia to make thing more complicated. And if there’s a mysterious structure dominating the landscape, what is a lost, amnesiac man to do? Explore! Welcome to Vaporum, a game that mixes elements of old-school, first-person dungeon crawlers with others that freshen the experience considerably. 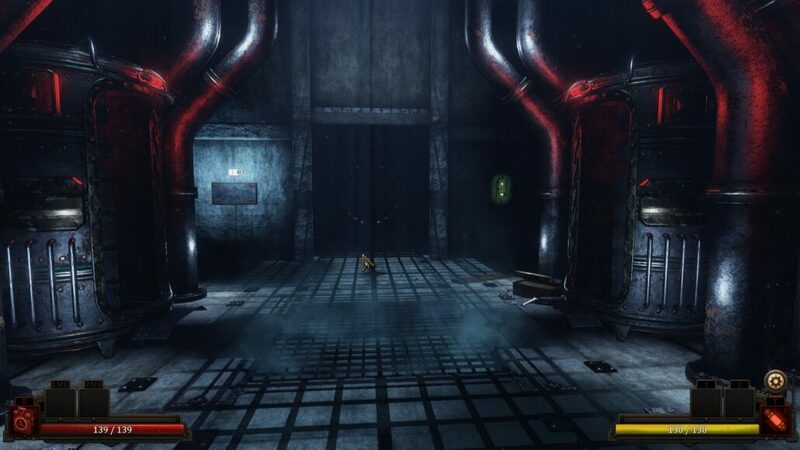 Following his getting stranded, the game’s main character decides to explore a gigantic tower known as the Bunker. The hero remembers nothing, but he feels in his heart that he has some sort of connection to the tower where automaton and other monstrosities roam free. Through notes and audio recording left by those who worked in the Bunker, the hero will finally remember his connection to the Bunker and learn all the dreadful secrets it houses. The setting and story of Vaproum have a bit of sci-fi and steampunk elements which aren’t exactly original but make the experience enjoyable, as long as you don’t expect to be surprised by any huge twist. The competent voice acting also benefits the experience, making it more immersive and engaging. From a gameplay perspective, Vaporum is even more enjoyable, even for those who may not have had much experience with dungeon crawler games of the past such as the Dungeon Master and Eye of the Beholder games. 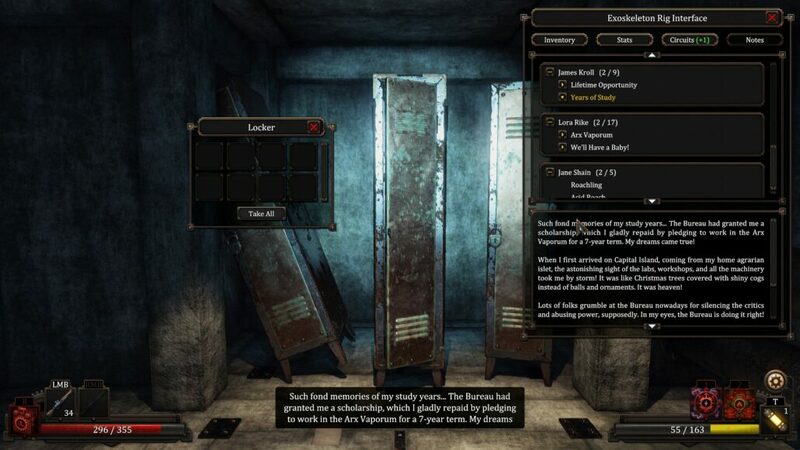 While Vaporum retains the first person, grid-based experience of these classics, the game developed by Fatbot is always played in real time, meaning that enemies will not wait for players to take action. The game also doesn’t feature any party members, so players are on their own to face the dangers of the Bunker. Even with the lack of companions, players have all the tools to survive each and every battle, thanks to some well -crafted RPG mechanics. 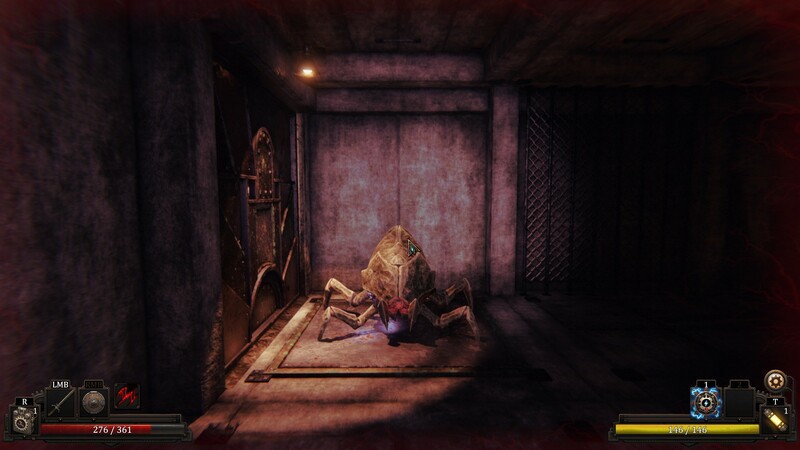 At the beginning of the game, players will have to choose between three types of Exoskeleton suits, each one with a different focus which makes certain weapons and Gadgets more effective. There’s no right suit for the entirety of the game, so players can choose the one that best suits their playstyles. The main character can also be strengthened through circuits, which unlock specific perks, so there are plenty of customization possibilities. Speaking of weapons, they obviously play a big part in the game. Melee weapons have a quicker cooldown time between swings, but require players to be close to the enemies, while guns offer better damage but are limited by the number of bullets in possession. Gadgets are also quite interesting, offering a variety of elemental attacks which also cause status ailments, but they require energy, which is restored slightly over time or by using a special item. To restore health, however, players can only use items or hope to level up when in need. Through the combination of the Exo suits, equipment pieces, weapons, and Gadgets, there are a lot of unique ways to approach enemy encounters. Battles, however, are only a fraction of the Vaporum experience, as the exploration is also very well done. Spicing up the experience are a variety of puzzles which require players to find keys, press switches, move crates and so on. Puzzles are varied enough, despite not being particularly original, and they do a very good job in making the experience feel fresh. The fact that both items and experience points are limited is another incentive in exploring the Bunker fully. Vaporum doesn’t just play nicely, but it also looks pretty good. While the different sections of the Bunker don’t appear too different from one another, they are nicely detailed, and so are enemies. The game isn’t extremely demanding, so even those with an older machine will most likely be able to run the game at a good resolution and smooth frame rate. As already mentioned, the game also features competent voice acting, and the atmospheric pieces do help immersion quite a bit. Vaporum definitely doesn’t break any new ground, but the combination of old-school dungeon crawling, RPG, and survival elements make the around 10 hours campaign quite enjoyable. As the game is quite accessible, thanks to several quick tutorials, Vaporum can also be enjoyed by those who never played the classics of the past.